We are explaining some basic and easy steps to Capture YouTube Video Poster and Vimeo Poster of any YouTube or Vimeo video. You only need an image capture tool like Windows Image Editor, Snagit, MS Paint for capture and make a video poster. Step 1. Go to the YouTube/Vimeo. Search a video or your favorite artist video. Open a video for which you want to create video poster. Step 2. 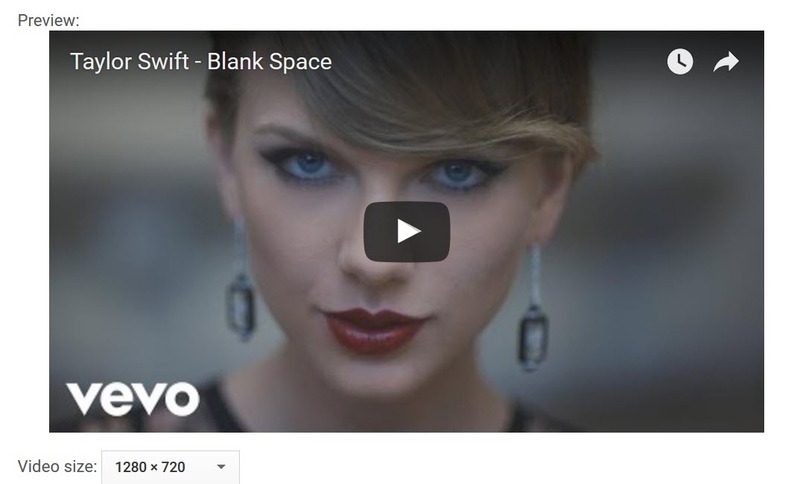 In the below image we have searched for our favorite artist “Taylor Swift” and selected a video “Taylor Swift – Blank Space”. And we making a video poster for this video in this tutorial. Also, we did for Vimeo video poster in second below image. Step 3. We have opened the video now. Check the highlighted steps C, D, E, F in below image. F: After clicking on step E, you will see video poster. Select the video size 1280×720. Zoom in your browser using CTRL + Plus Button(+), press these keys 6 times to make window zoom for 250%. Now, adjust your screen on the poster. Use your image tool (Snagit) to capture the screenshot. If you are using MS Paint to capture the video poster then follow below method. You can use the PrintScreen key of the keyboard to capture poster in the clipboard. And use CTRL + V to paste captured screenshot in MS Paint. Now, edit the image and save as video poster. Thanks for reading ” Capture YouTube Video Poster ” article.